If you or your organization want to understand the critical technical and behavioral competencies needed for individual success and growth at all levels of an HR career, come to this session. You will learn about the HR Professional Competency Model, which SHRM recently developed to allow HR professionals to systematically analyze their competency needs and to help organizations develop performance appraisal tools and other HR systems. 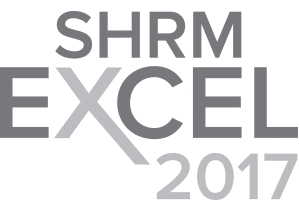 In addition, you will learn how several SHRM competency self-development tools can accelerate your professional growth and increase your ability to contribute to the success of your organization. This presentation also includes a component on SHRM Certification. Online Pre-Registration is now closed. We will accept walk-in registration. 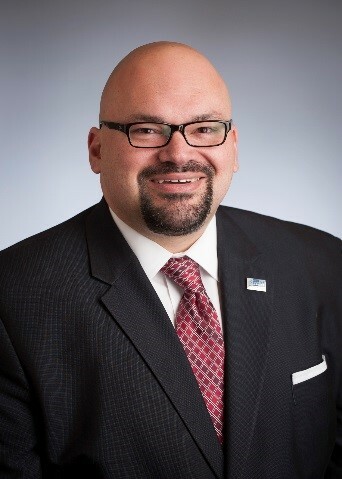 Alexander Alonso, Ph.D., SHRM-SCP is the Society for Human Resource Management's (SHRM's) Senior Vice President for Knowledge Development & Certification, leading operations for SHRM’s Certified Professional and Senior Certified Professional certifications. He is responsible for all research activities, including the development of the SHRM Competency Model. He oversees the teams responsible for research products like SHRM Benchmarking Services and the Workplace and Employment Trends Center. In addition, he is the division lead for the SHRM Knowledge Center and Academic Initiatives. During his career, Dr. Alonso has worked with numerous subject matter experts worldwide with the aim of identifying performance standards, developing competency models, designing organizational assessments, and conducting job analyses. He was also responsible for working on contract task orders involving the development of measurement tools for content areas such as job knowledge (like teacher knowledge of instructional processes) and organizational climates (like organizational climate forecasting in military health care). Dr. Alonso possesses experience in projects dealing with organizational assessments and workforce analysis drawing on interdisciplinary advanced training, quantitative and qualitative research methods, as well as multicultural and foreign language skills. He received his doctorate in Industrial-Organizational Psychology from Florida International University in 2003. He was also part of the team recognized by the Society for Industrial Organizational Psychology (Division 14 of the APA; SIOP) with the 2007 M. Scott Myers Award for Applied Research in the Workplace for the development of the federal standard for medical team training, TeamSTEPPS. In addition, Dr. Alonso was awarded a 2009 Presidential Citation for Innovative Practice by the American Psychological Association for supporting the development of competency model for team triage in emergency medicine. He is also the recipient of the 2013 SIOP Distinguished Early Career Contributions for Practice Award. He has published works in peer-reviewed journals such as Journal of Applied Psychology, International Journal of Selection and Assessment, People and Strategy, Personality and Individual Differences, Quality and Safety in Health Care, and Human Resources Management Review. Dr. Alonso also served as a columnist reviewing international practice topics for The Industrial Psychologist from 2011-2014. In addition, he has served as the Chairperson for the SIOP International Affairs Committee, a member of the SIOP Professional Practice, Awards, and Program Committees, and the 2014 president of the Personnel Testing Council of Metropolitan Washington. He currently serves as the SIOP Executive Board Communications Portfolio Officer. 1:00 pm: Adjourn - We are committed to ending on time! Cost is $45 for LWHRA members and $60 for non-members. Attendees are asked to pre-register and pre-pay via our website registration process. If the registration deadline has passed, you are welcome to arrive at the venue at 11:00 a.m. and enter your name on the waiting list. We will accommodate walk-ins whenever space is available. The onsite registration fee is $55 for LWHRA members and $70 for non-members. Note that only the regular meal is available to walk-ins, and the fee must be paid on site.